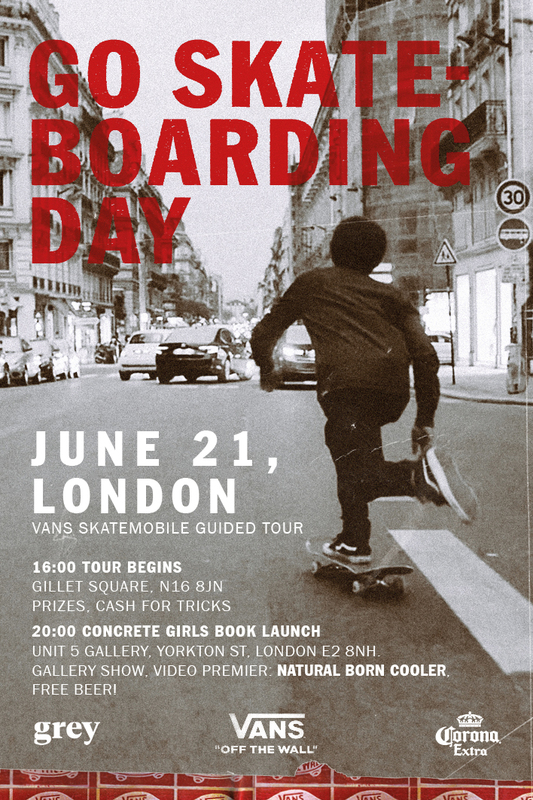 Grey Skate Mag and Vans are hosting several events in London this Thursday and last stop on their Go Skateboarding Day mission will be my Book Launch Exhibition Gallery. Go meet up with them at Gillette Square at 4pm where there will be some fun stuff to skate then after head over to east London for my photography exhibition and book launch for my first book Concrete Girls. Look forward to sharing a beer or two with you all!